DJ Wawashi and heavy metal singer Max deliver some larger 'larger than life', raunchy disco grooves. Nang returns with the hot scintillating sounds of Italy's Hard Ton, DJ Wawashi and heavy metal singer Max. The 'larger than life' disco duo are no strangers to the world of nu-disco with releases appearing on Permanent Vacation, Toy Tonic and many more. Their sound is a combination of raunchy disco grooves fused with acid basslines, HI-NRG balanced against Sylvester-esque falsetto vocals and a nostalgia inducing use of futuristic sound FX. The release sees Hard Ton's single "Hot Line" remixed by Nang favourites Daniele Baldelli & DJ Rocca, Leo Mas & Fabrice and NY legend, Man Parrish finishing things off. 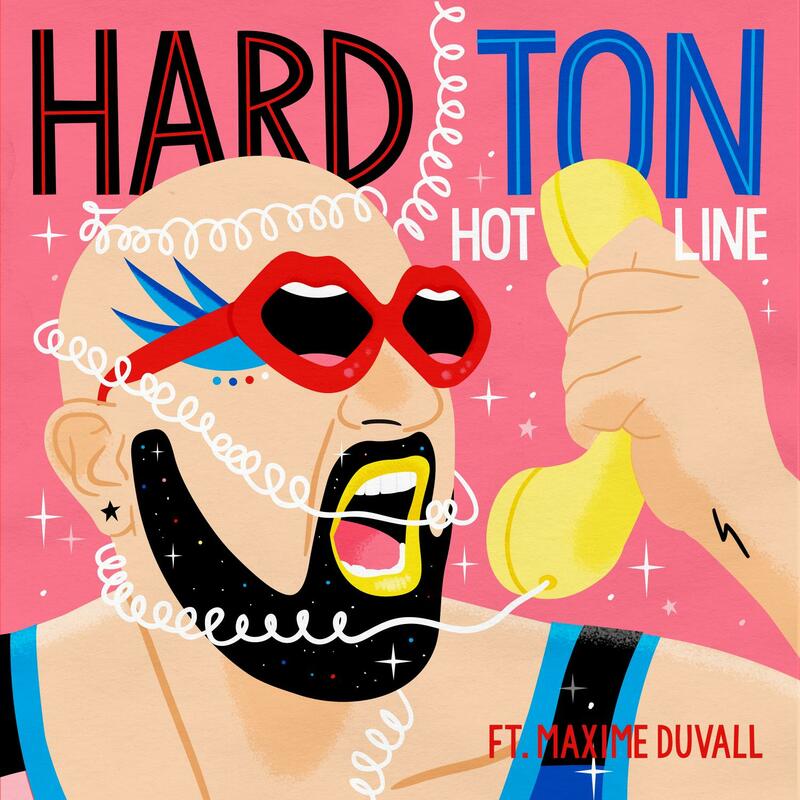 Hard Ton's original version of "Hot Line" is fast paced and seductive. Max suggestively sings "I'll give you what you want" before a sultry telephone call heats things up another few degrees. Baldelli & Rocca do what they do best with their remix, chuggy Italo-disco alongside some trippy, spacey melodies over the top of Hard Ton's vocals. The pair also provide a dubstrumental remix, which works out even further that chuggy groove and trippy melodies with a few stripped back vocals. Leo Mas & Fabrice's offering remains truer to the original, keeping the same pace and electricity. They add their own drums and a careful arrangement helps the temperature rise even further. The final mix from Man Parrish is "Frankie Goes To Hollywood" on acid. It's more powerful, a little bit more sinister and definitely one for dark nights and steamy dancefloors. Written & Produced by Massimo Bastasi, Mauro Copeta & Maxine Duvall.